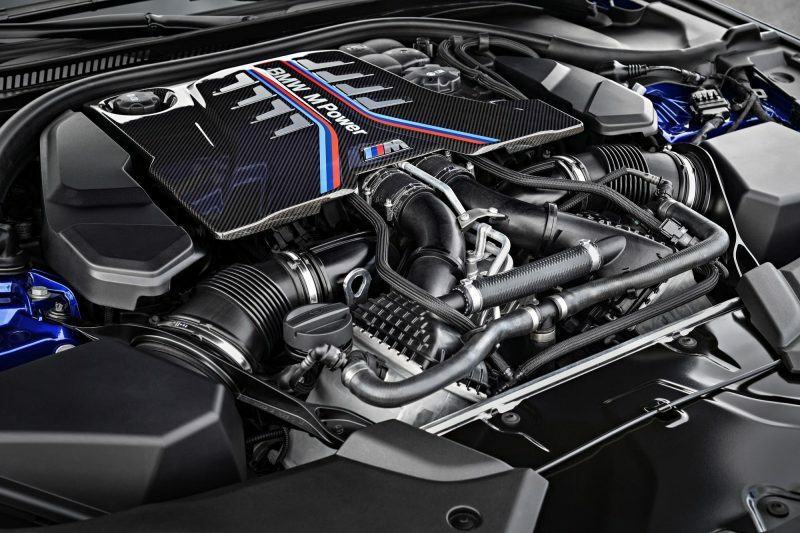 The BMW M5. It’s a car so prominent in the performance car world, that you feel everything should be dropped when details for a new model get announced. Well, today is that day, so stop what you’re doing. No… I said stop. 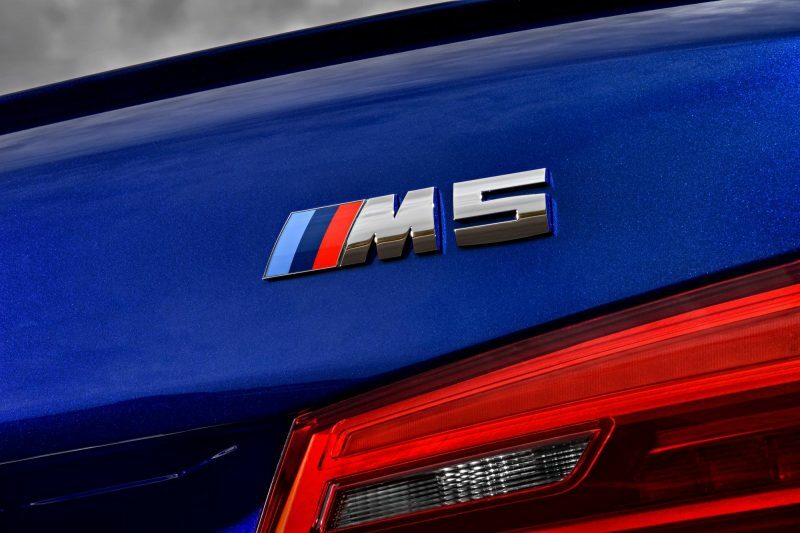 Well, one of the key headlines for the new M5 is that for the first time it will have four wheel drive. This is likely to make die-hard fans shake their fists in anger and start a protest march to Bavaria, but don’t be so hasty. The system won’t always be four-wheel drive, it will just revert to that if needed, which means the car is more is usable. This is a good thing. Don’t worry, it will still go sideways. Plus, if you prefer to have the unhinged lunacy of rear-wheel drive then you can do so by changing the driving mode. So think of it kind of like a Ford Focus RS in drift mode. Sort of. 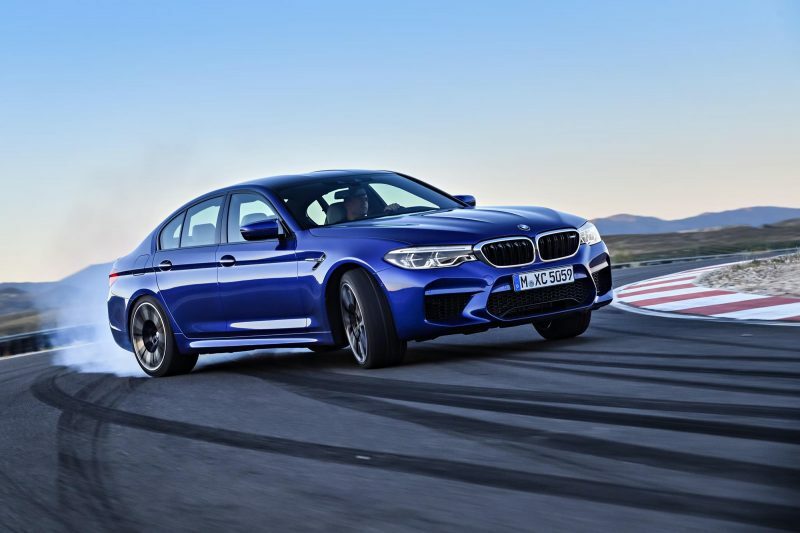 The new M5 packs a real punch though, so many drivers are likely to be thankful for having the reassurance of four-wheel drive, especially if you’re driving talent is not quite up to scratch. Very. Naturally, the new model is more powerful than the model it replaces, because that’s progress right? Underneath the hood is a 4.4 litre V8 engine with TwinPower Turbo technology, meaning it will demolish 62mph in just 3.4 seconds(! ), but of course, the car is limited to a 155mph. 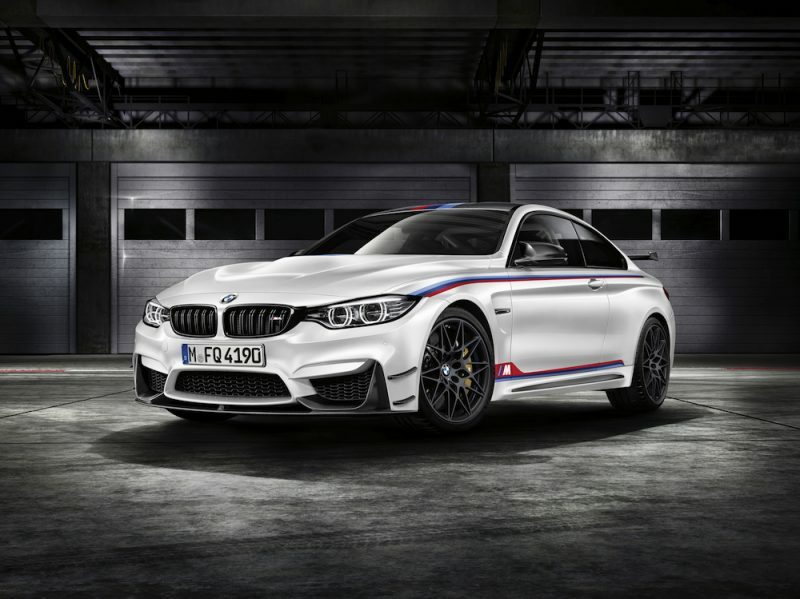 A whopping 592bhp is produced by this motor, as well as a tyre-shredding 750Nm of torque. A new eight-speed M Steptronic automatic gearbox is in charge for helping to keep this power in bay, with the help of the aforementioned four-wheel drive system. 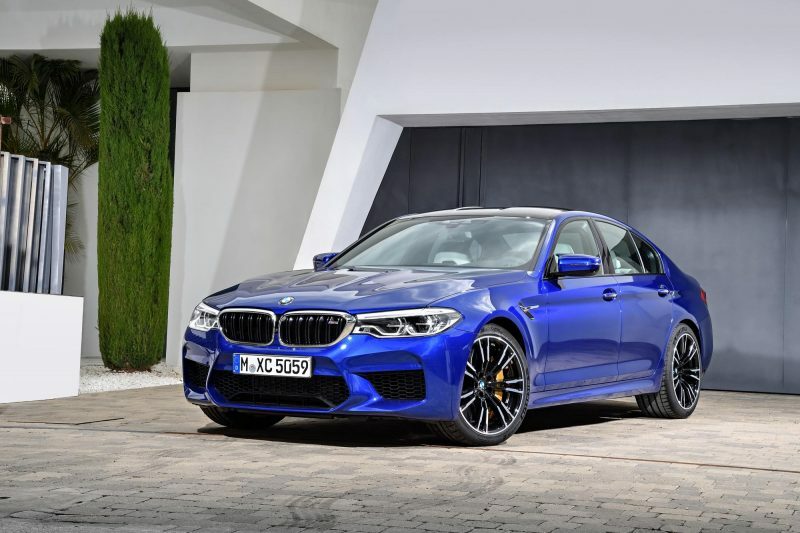 Like other M5s before it, the sixth-generation model will offer a choice of driving modes to suit the driver’s needs and tastes. 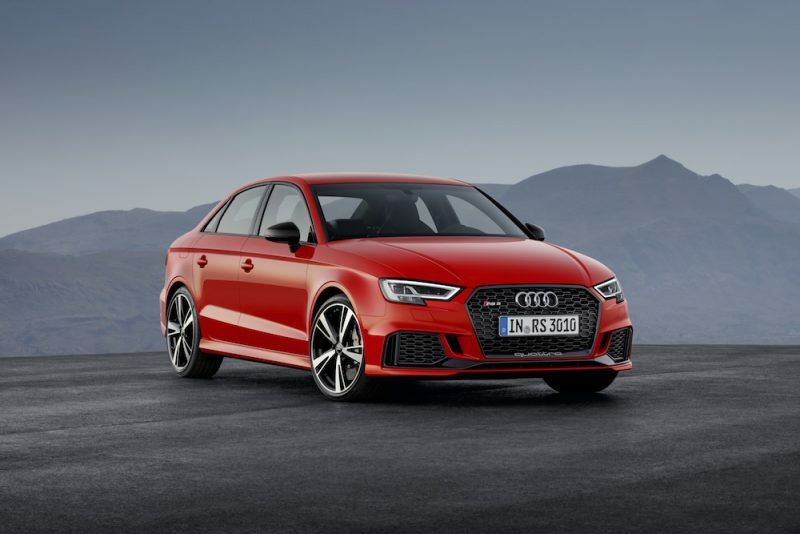 Efficient is best used for cruising or long journeys, but if you want to drive along as if there is no tomorrow you can either choose Sport or Sport Plus. As you would expect, these two modes tighten everything up as well as making the engine and gearbox more responsive. As mentioned, you can select the car to be rear wheel drive only, but this will also turn off the dynamic stability control (DSC), so you’ll need to have your wits about you if choose to do so. 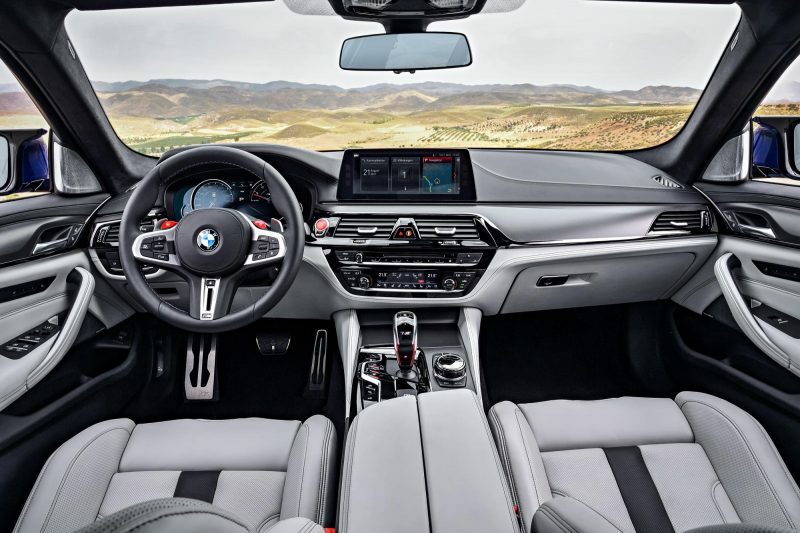 For this reason, BMW has stated that this driving mode should be used for tracking driving only, and not for drifting around a large roundabout. The gearbox settings can also be changed to give sharper changes and the suspension can of course be altered as well. 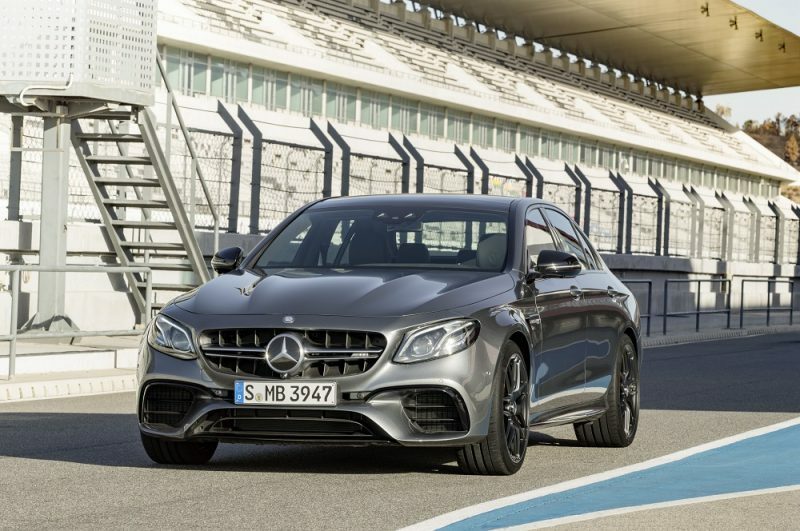 As you can imagine, there are a lot of key and essential parts that go in to making what started life as an executive saloon in to something that can keep a supercar on its toes. The engine is of course a good place to start, but a fast car is almost worthless if it cannot go around corners. Well, not unless you live on a drag strip. So with that in mind, BMW has been hard at work in the chassis department to make sure it’s as impressive in the bends as it is in a straight line. 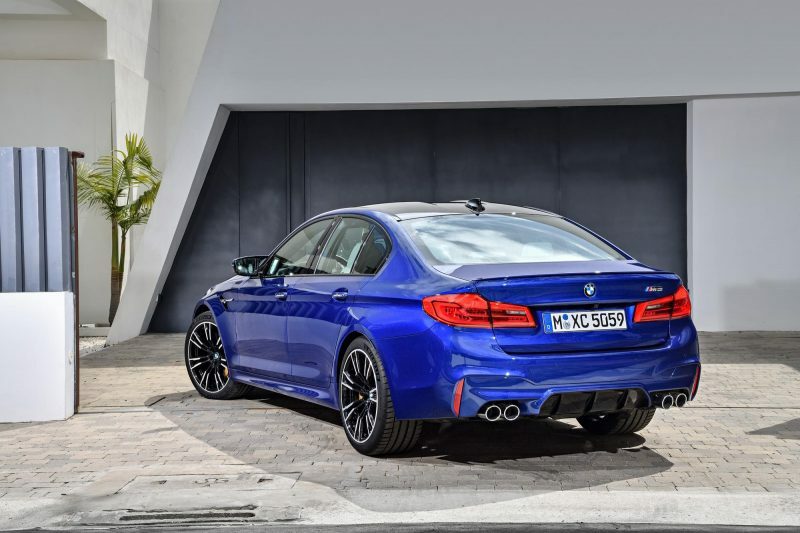 This means features such as variable dampers, specifically designed tyres and revised axles are present on the new M5. The brake pads has been developed using a special M compound to give better stopping power, although buyers will be able to choose ceramics at an additional cost. M Servotronic steering also features in the M5, which BMW states will offer the “right steering torque for every driving situation”, before going on to say, “The new M5 has incredible turn-in.” Very modest. 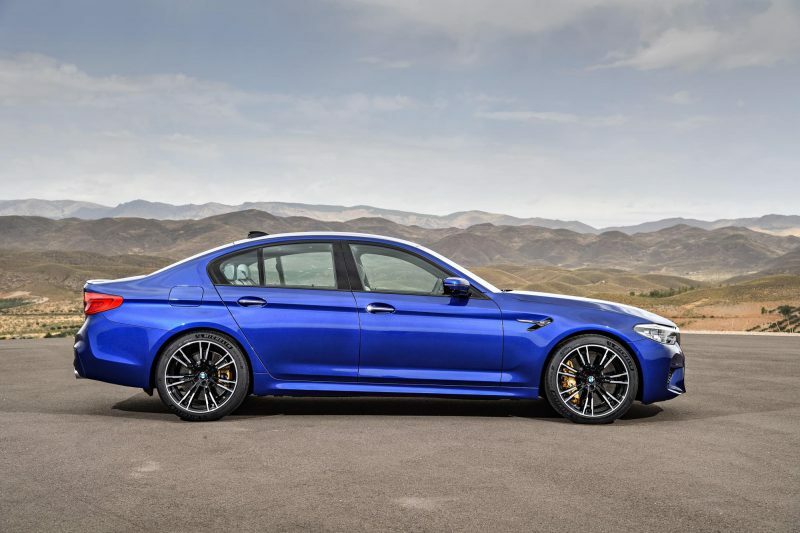 The new BMW M5 will go on sale as of February next year, which is quite some time away but it should be worth it. You’ll need deep pockets for it though, as it will set you back a cool £89,640. Mind you, still cheaper than a supercar, and it’s more practical.